Asbestos is no longer used in the vast majority of construction projects in the United States due to environmental regulations. While efforts to entirely ban the substance proved unsuccessful decades ago, when a congressional ban was repealed, the use of asbestos was largely discontinued. However, many old buildings across the Commonwealth of Massachusetts still contain large amounts of the toxic material as they were constructed and renovated prior to the ban in the 1970s. Asbestos was heavily used due to its cheap cost to mine and manufacture and its natural ability to resist fire, heat, electricity and caustic chemicals. 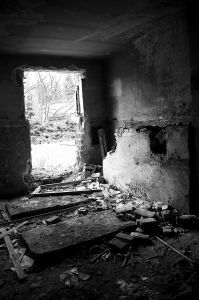 As these old and sometimes historic buildings crumble into a state of disrepair, the asbestos once contained in siding materials, roofing materials, insulation products, and flooring material is allowed to literally turn to dust. That dust is highly toxic, as, when the fibers are inhaled, they can become lodged in a layer of tissue known as the mesothelium. When asbestos is in a crumbling state where it can be crushed by the pressure of a human hand, it is known as friable asbestos. This is the most deadly form of asbestos other than pure asbestos powder. Asbestos powder did not have many industrial or commercial applications, but it was used in the past for rather unfortunate purposes, such as fake snow on Christmas ornaments. As our Boston mesothelioma attorneys can explain, once asbestos fibers become embedded in the mesothelium, they can develop into the deadly form of cancer known as mesothelioma. Over a period of between 20 and 50 years, the asbestos fibers lodged in the mesothelium can metastasize into a deadly form of cancer known as mesothelioma. Asbestos fibers can also cause serious scarring in the lung tissue of victims, and this is known as asbestosis. Asbestosis is a serious respiratory illness, which can be fatal if not properly treated. According to a recent news article from the Amherst Bulletin, the now closed Belchertown State School has been sitting empty for years while the town looked for a buyer who will be willing to spend the money needed to perform the required asbestos abatement process prior to any renovations or demolition work. Asbestos abatement (removal) is extremely expensive, so it is often hard to find a buyer. The Belchertown State School was not a school in the traditional sense, but rather a hospital to house mentally ill patients. It was built in the 1920s and used a methodology consistent with mental health treatment of that earlier era. Over the years, the Belchertown State School faced a great deal of criticism for using what many considered cruel and archaic psychological treatments and keeping the residents in inhumane living conditions. The center was finally closed in 1992 and has sat vacant since that time, crumbling away. While the current developers who are performing the asbestos abatement and demolition work originally wanted nothing to do with the project, they were eventually convinced it was worth spending the money. The town helped them come to this decision by offering tax incentives and a grant to help pay for the cost of asbestos abatement and demolition work.